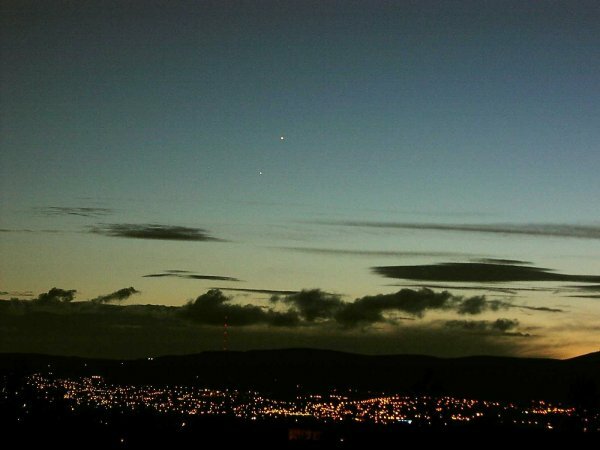 Explanation: Venus and Jupiter appeared to glide right past each other earlier this month. 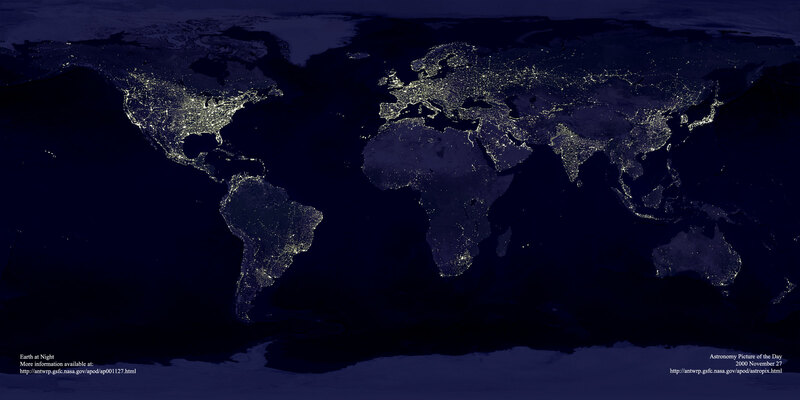 In a slow day-by-day march, Jupiter sank into the sunset horizon while Venus remained high and bright. The conjunction ended the five-planet party visible over the last two months. Jupiter, of course, is much further away from the Earth and Sun than Venus, so the passing was really just an angular illusion. 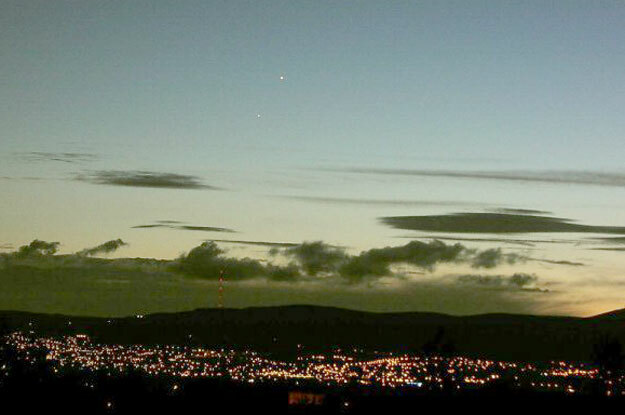 Pictured above on June 3, a fading sunset finds Venus shining over Jupiter above clouds, mountains, and the city lights of Belfast, Northern Ireland.